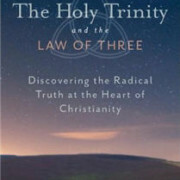 A review of The Holy Trinity and the Law of Three by Matthew Wright. 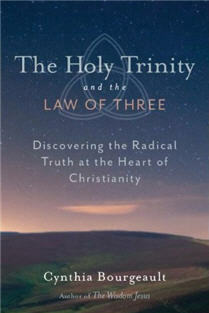 Cynthia Bourgeault’s “The Holy Trinity and the Law of Three” is a great gift. She offers us a metaphysical road map that sets Christianity back on course with its own deepest heart, allowing it to come of age for the 21st century. By undergirding traditional doctrines with a dynamic metaphysical framework, she frees Christianity from some of its own historic “stuck points” and sets it up as a living–and much needed–spiritual force for the world today. All this she does with a clarity, simplicity, and depth of writing that make this book an absolute delight to read. For the full review visit the Amazon page HERE. We invite and encourage all who may be interested to add your own review to this page as well. It was my turn to facilitate a small evolutionary group I’m in and we did some exercises using the law of three to tackle specific obstacles in each of our lives (there are five of us in this group). The group members were not familiar with the law of three so I had them listen to Cynthia’s talks at St Philips, especially the third talk. Everyone caught the drift as this type of conversation is familiar to us and we ended up with our obstacles having a common thread and very similar new emergences. It was great fun and I hope to do it again and take it into my church group that is going to study Cynthia’s new book in January.